Castel Baronia is a town and comune in the province of Avellino, Campania, Italy. Castel Baronia has a population of 1,233 inhabitants (Castellesi) and a surface of 15.3 square kilometres (5.9 sq mi) thus showing a population density of 80.59 inhabitants per square kilometer. It rises 639 metres (2,096 ft) above the sea level. Castel Baronia is situated in the green area that extends from the Ufita valley to the province of Foggia, a gracious area, forming part of the Comunita' Montana of the Ufita Valley. 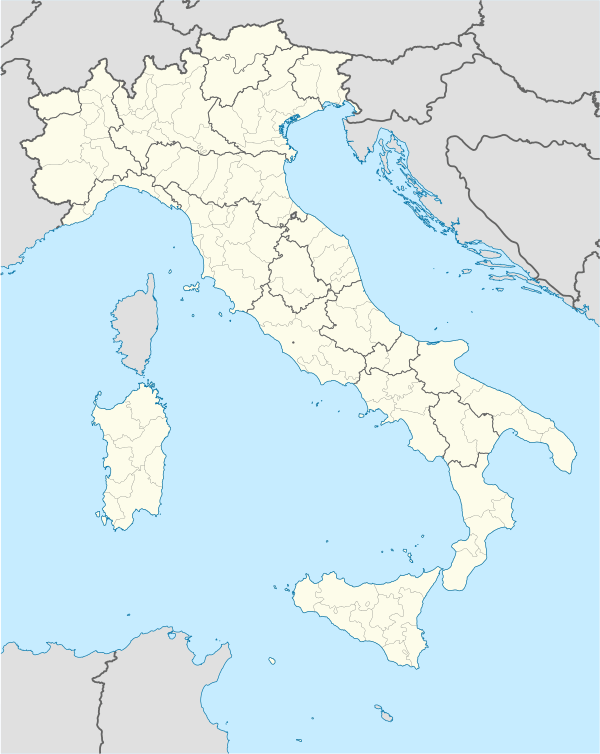 The name of the town comes from the word Castello (from the Latin Castellum) due to the existence dating back to the Norman era, of an impenetrable fort in the highest part of the area, Trevico, 1,090 metres (3,580 ft) above sea level, which dominated the town and surrounding areas. The Baronia area was the last fort of the province of Avellino that faced the so-called "table of puglia". The word Baronia was added to Castel when the district entered under the jurisdiction of the Baronia di Vico. Hence, Castel Baronia. The first written record of this town dates back to the second half of the 16th century when a certain Gradilione in 1079, nephew of the Norman, Roberto di Guiscardo, owned the lands of Vico. In 1122 the owner of this Castle was Riccardo de Formari, killed during the terrible battle of Flumeri. Passed from one duchy to another the last to own Castel Baronia was Nicola Caracciolo, from the duchy of San Vito, passed on through marriage dowry and remained until the abolition of feudality in 1806. Castel Baronia has touristic importance formed by its history and precious archaeological neolithical finds which date back to 3rd century B.C. in part these have been discovered in the Isca del Pero area, where huts, tombs including jewels, amphors, coins and industrial clay items, vases, plates with characteristics of the Laterza culture. Inhabitants were the Irpini tribe from the Samnites, who consisted of four tribes, Carricini, Caudini, Pentri and Irpini. The Irpini's occupied southern Samnium between the valleys of Ofanto, Calore and Sabbato. They were called "uomini lupo" or wolf men and it is from them that the word "hirpus" or Irpino is derived. Other important finds dating back to the second half of the 5th century BC from a Samnite necropolis, also included tombs that were discovered in the Serra San Marco region, where 130 tombs were discovered. Studies have demonstrated that the contents of these tombs proved the presence of inhabitants whose economy was based on agriculture and craftsmanship, influenced by the progressed civilizations of the central adriatic coastal areas. In the Medieval period evidence has shown that the primitive inhabitants occupied the "Acquara" area due to the presence of springs and consequently evidence of numerous water mills and herb gardens. Some items can be seen at the British Museum London. Big land owners were practically non-existent since everybody used the land for animals' pasture and farming. They had no slavery and everybody had freedom of expression. Because of this, the Samnites had a healthy social evolution with respect to other populations of the peninsula, an evolution that led these people to such political knowledge that advanced by thousand of years the new ideas of today's Europe. The town has endured over the centuries many catastrophic episodes. Deaths caused by Chicken pox, measles, and malaria. In 1350, it was destroyed by the bandit Mariotto, ordered by the feudal of Sant'Angelo dei Lombardi and the new Castel Baronia was rebuilt in the area of the sanctuary of S. Maria delle Fratte, where according to tradition a shepherd discovered a Byzantine painting representing the Madonna, still today fervently venerated. This small feudal area constituted one of the important defensive points of the Baronia di Vico. It was the property of the Del Balzo Orsini, D'Acquino, De Ponte and Caracciolo Families. Affected also by the numerous earthquakes to which the Irpinia area is particularly subject, many architectural buildings have been destroyed. However, the church of Santo Spirito of the Baroque period with its annexed franciscan convent within which there is a stunning 16th century cloister surrounded by portico's with 58 rare and precious parietal wall paintings, by Liborio Pezzella in 1773, representing the life of Saint Francis, Saint Bonaventura, Saint Bernard and others, to be seen for their beauty. Also to be found are lined 17th century sculptures representing Saint Peter, Saint Teresa and Saint Francis and paintings by the artist Lanfranco, there is also a painting of Saint Sebastian and this piece denotes clear traits of the great Caravaggio. The church also contains a wooden organ together with two gold wood altars dated 1740. An identical version of one of the altars has been seen at the Victoria and Albert Museum in London. Also, miraculously conserved is the House of the famous 18th-century poet and jurist Pasquale Stanislao Mancini, Pasquale Stanislao Mancini and in his shadow the great women in his life his mother Maria Grazia Riola a lover of science and poetry. musician and fluent in French written and spoken both self-taught and a prodigy in the study of history, his wife, Laura Beatrice Oliva, poet and highly acclaimed theatrical author of the 18th century and his daughter Grazia Mancini, journalist and writer who participated actively in the political debate of her time on the emancipation of women. All three women dedicated their lives to instruction, poetry, music and languages. Still to be admiredTemplate:Feudotory of Trevico 1136 Adam de Bruyeres are the remains of the benedictine church and monastery of Saint Giovanni in Acquara. The church of Saint Francis dates back to 1630 and conserves 17th century statues, whilst the Sanctuary of Santa Maria delle Fratte dates back to the 12th century and has been rebuilt numerous times due to the destruction by earthquake fenomena. The patron Saint Maria is celebrated on 2 February, and other dates to remember are Saint Anne, 26 July and Saint Anthony, 13 June and Saint Rocco 16 August. Castel Baronia produces the finest extravirgin olive oil,"Gocce d'Oro" or golden drops from the numerous olive plantations in this area, mainly from Ravece and a variety of vines make this town a culinary dream. The women of Castel Baronia are famous for their crochet skills, linen embroidery including embroidery and lace for the church altars, with some of the most elaborate and beautiful priceless specimens in Italy. The inhabitants of this small town can boast today amongst their craftsmanship, basket weavers, ceramicists, oil painting and water colour artists, and some of the most interesting and beautiful home created nativity scenes to be seen in Irpinia. This article is issued from Wikipedia - version of the 7/14/2014. The text is available under the Creative Commons Attribution/Share Alike but additional terms may apply for the media files.